WHY GIVE A DAMN LOOK? 1. No doubt! Who's my mother? 2. WTF? What The Face? A mother's look equated to an offspring's look. A baby seeing her/his face in the mirror? 3. Not that kind of look! 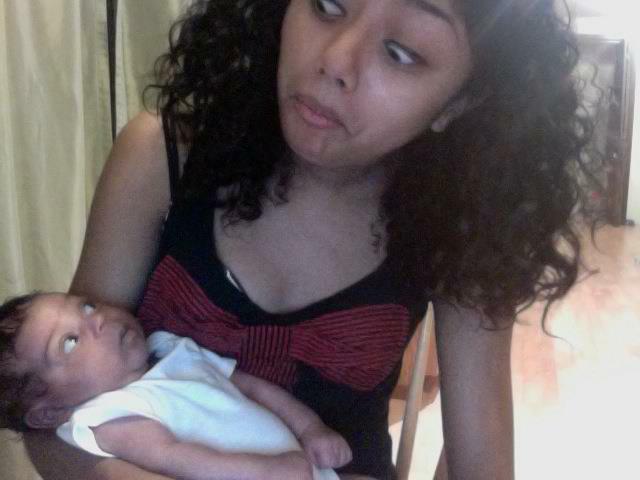 A mother trying to scare a baby's innocent face. Too early for Halloween yet. 4. Just being natural. This is how I normally look at you.